British rider Cal Crutchlow says Jorge Lorenzo’s decision to sign a new two-year contract with Yamaha’s factory MotoGP squad has little impact on his own future. 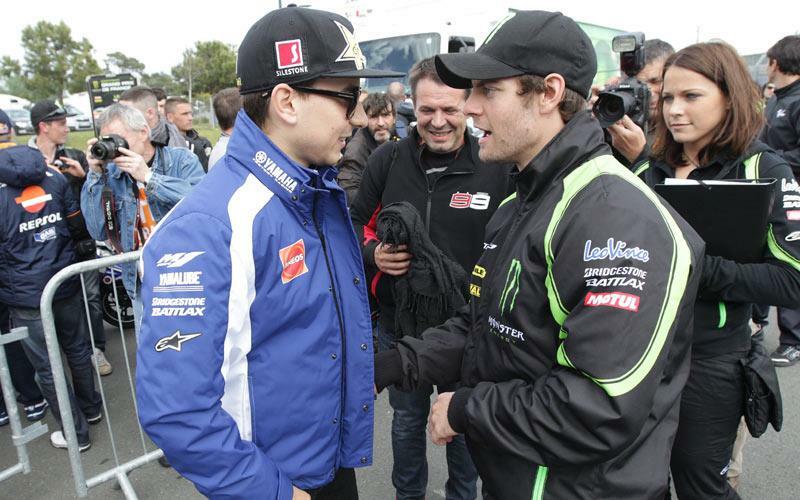 Lorenzo has penned a deal for 2013 and ’14 with Yamaha, despite rumours of big interest from Honda to capture the Spaniard as replacement for Casey Stoner. Monster Yamaha Tech 3 rider Crutchlow still has no contract in place for 2013 but says Lorenzo’s deal changes very little regarding his own situation. He always felt that he would be in a battle with Ben Spies and Tech 3 team-mate Andrea Dovizioso for one factory YZR-M1 seat next season. The Tech 3 Team has only one place available too having signed Moto2 rider Bradley Smith on a two-year MotoGP deal last September and Crutchlow told MCN: “It doesn’t change much more for me because I kind of knew he (Lorenzo) was going to sign with Yamaha. "A place might still be up for grabs with him next season but I am not too sure. If there is an opportunity of a factory ride then I will definitely be looking at it no matter which team it is with. "I’ve spoken to Yamaha to see if it was possible to get a factory bike in Tech 3 and that’s not an option, so I need to keep my options open. I’d love to stay with Tech 3. I’ve got a great crew and everybody is working great and I’d like to keep my association with Yamaha. Crutchlow said Lorenzo’s signing was a fantastic mid-season boost for Yamaha. The 2010 world champion leads the current rankings by 20-points heading to Silverstone this weekend after winning three of the opening five races. And Coventry rider Crutchlow added: “I think it is a great move by Yamaha and Jorge. They have a special relationship and they both fit perfectly. His riding style suits the bike perfectly and he is a great guy that fits well into a great company. "They have done a great job to get it done so fast. It is good that they have secured him for two more years and now everybody else can start shuffling around. "I did think he was serious about going to Honda but you kept hearing there was no communication and then there was.